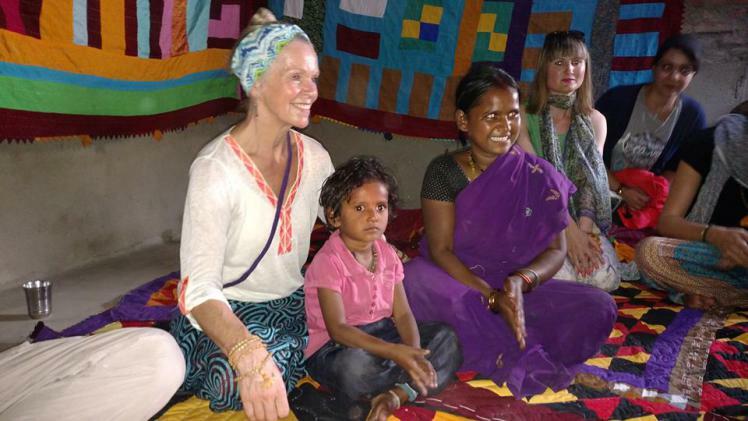 The day began as is now the norm, with Meditation and Yoga followed by breakfast, then we set off on foot to visit a project set up by James called Quilts For Kids. 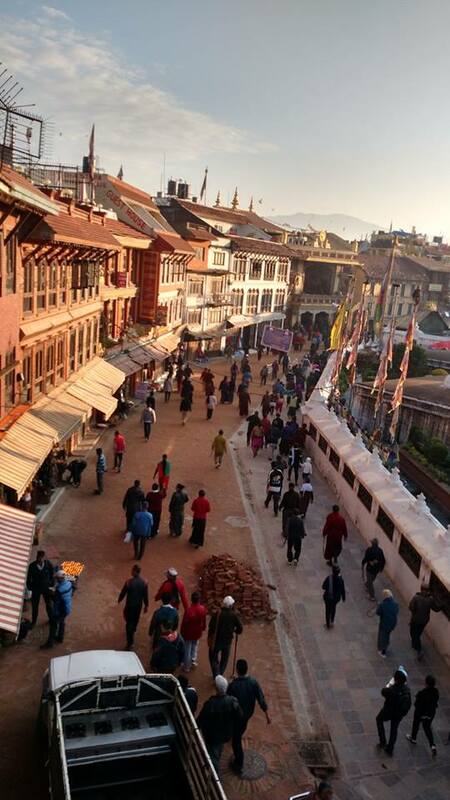 Briefly……James was concerned about the mothers and children begging on the streets of Boudhanath. They were immigrants from India. 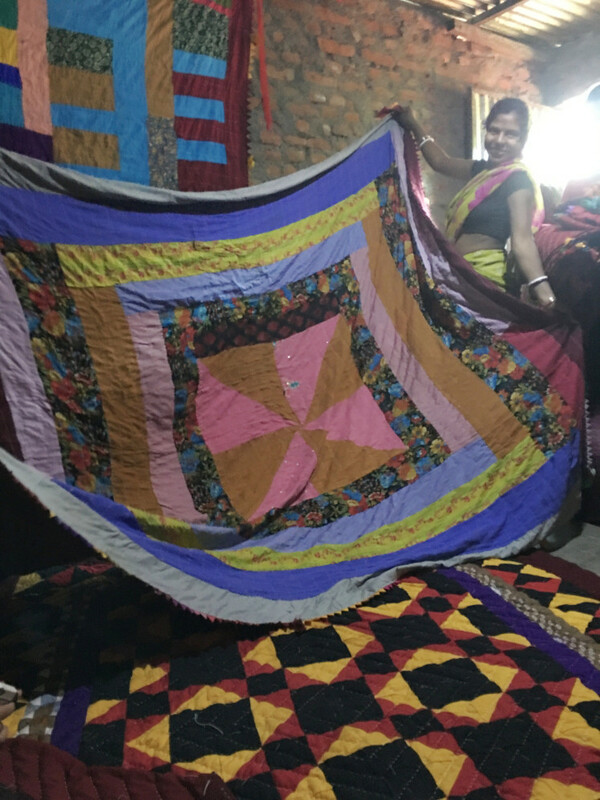 James wondered how he could help them and found out that many of the women were very skilled at making patchwork quilts. So he began funding the purchase of fabric for them to make quilts, sell them and then the woman who’d made the quilt was able to send her child/children to private school with the money. 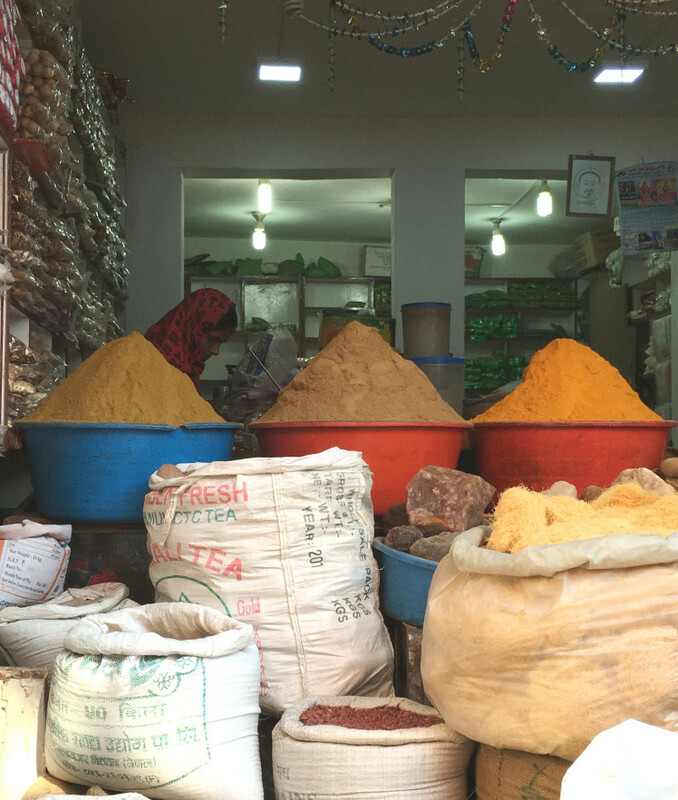 This project is specifically aimed at women as many of their husbands don’t work and are drunk or on drugs for much of the day. The women on the other hand are eager to better theirs and their children’s lives. 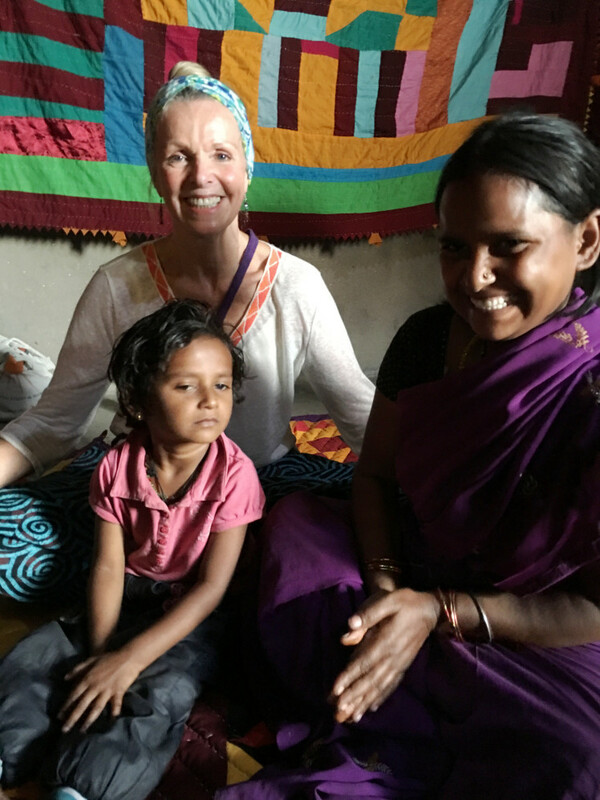 James has appointed one of the women, Ravina, as head of the project – she manages the day to day running of things. 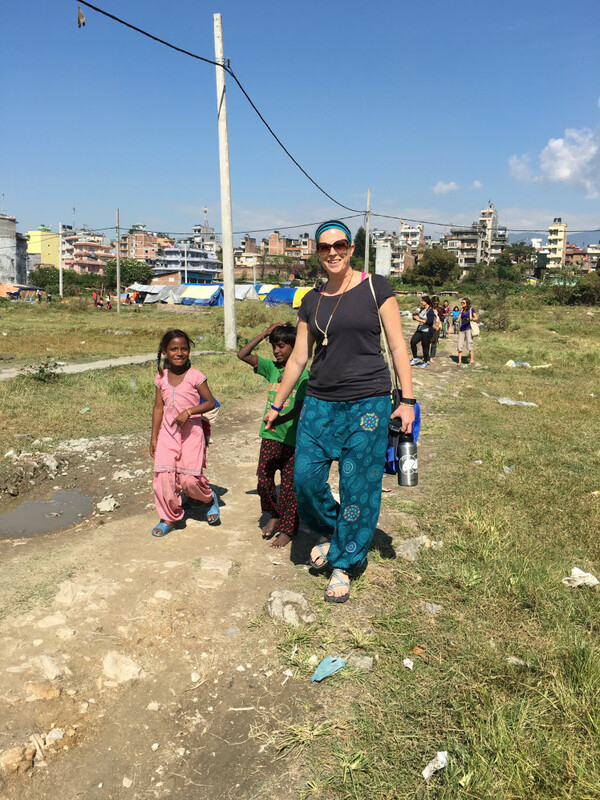 Roxi with some of the children from the camp. 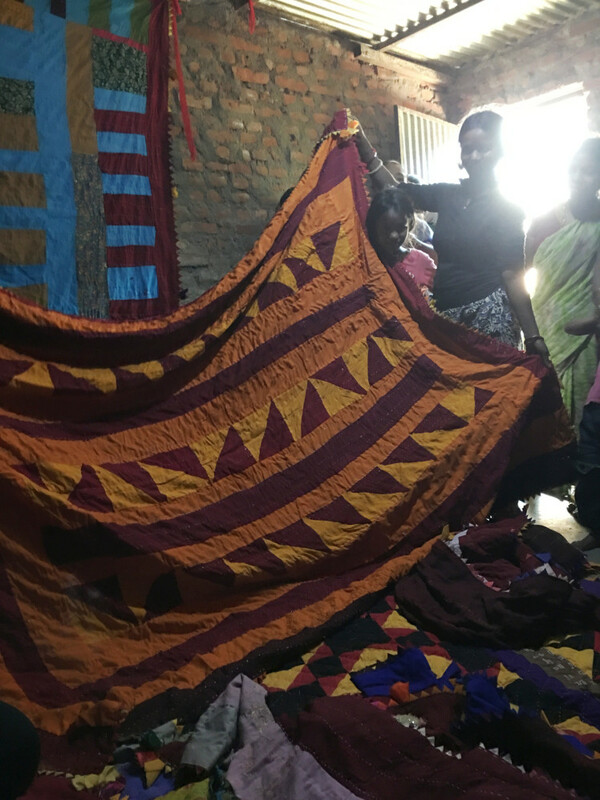 We were shown the quilts that some of the women had recently made. They were hoping James would think were good enough to be sold. I was astonished at how beautiful they were! As you can imagine, we all wanted to buy at least one! The next day was the beginning of the next term at school and time for a new uniform and so uniforms were distributed. Not all the mothers could afford to buy one at this time so James raises money or seeks funding for them. Without a uniform, the children aren’t allowed to go to school. 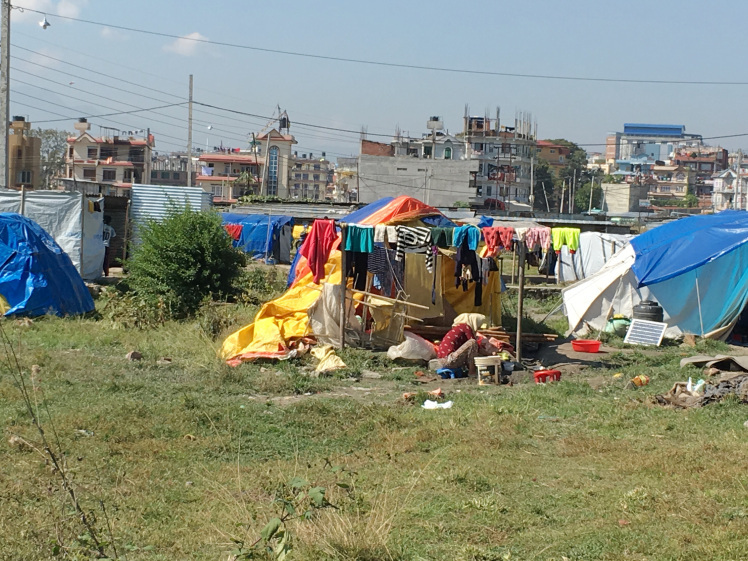 We headed back into Boudha and passed camps where some Nepalise are still awaiting help to find new accommodation even though 6 months have passed…. Motto: Let us work together to give all beings a better life. 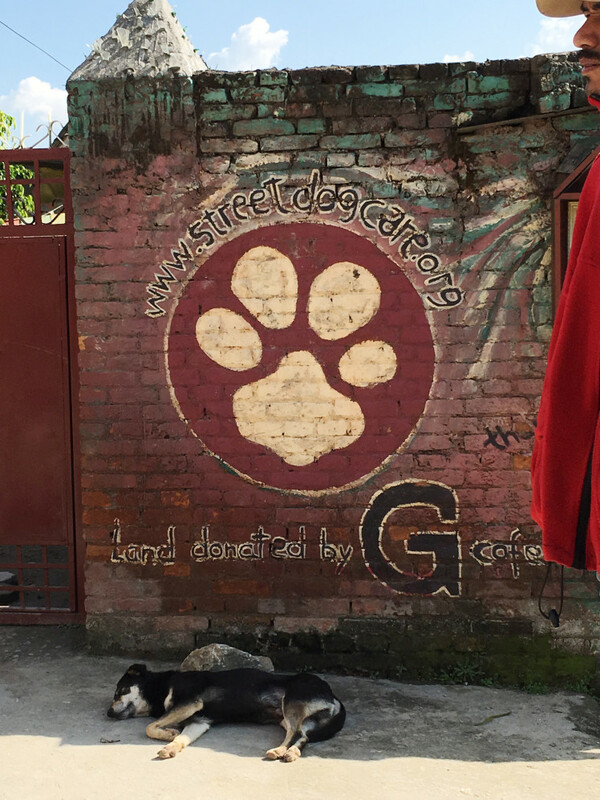 Vision: To bring about a time where there are no more suffering street dogs in Nepal. 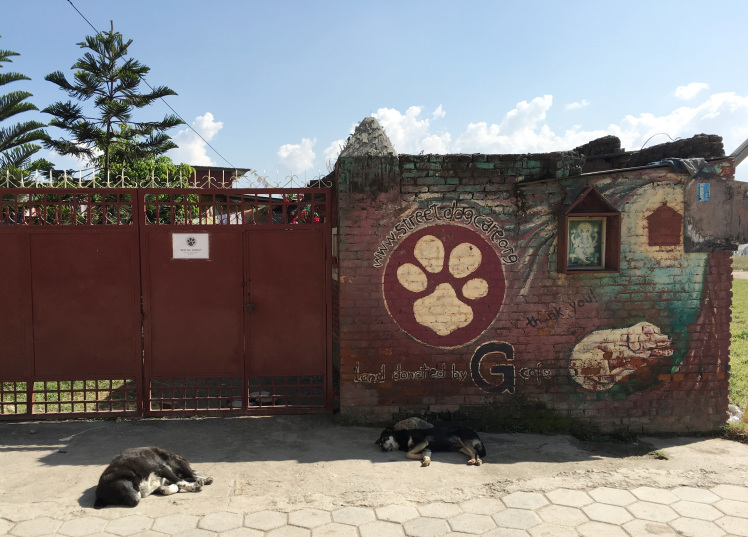 Mission: Street Dog Care aims to improve the health and living conditions of street dogs in Nepal, creating a healthier environment for all sentient beings. I think these dogs are waiting for it to re-open – they must be well cared for there! After lunch we had a little free time. 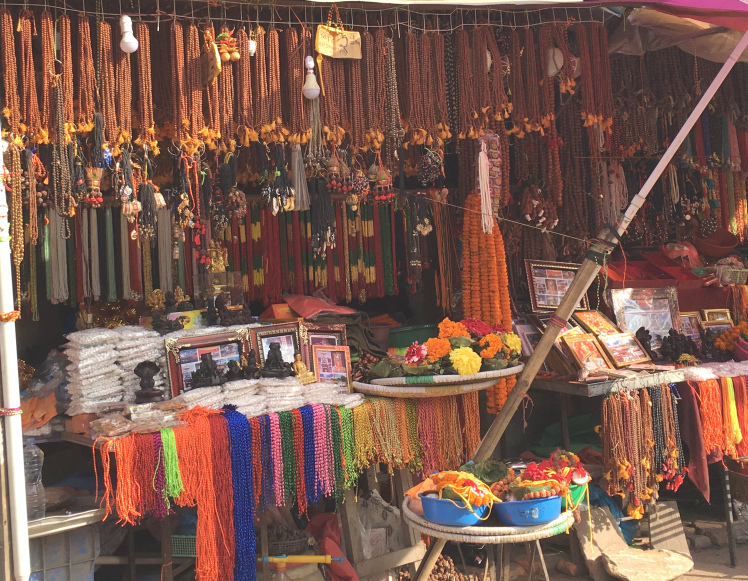 Boudhanath is excellent for shopping – there are shops all around the Stupa! So we all took advantage of the variety of shops to buy presents for friends, family and of course, quite a few treats for ourselves! Later we headed to White Gompa Monastery again for our second Dharma Teaching with Khenpo Tokpa Tulku. Unfortunately he was unable to meet with us but instead we went to the Temple to observe the evening Puja or as we might think of it, a Thanksgiving service. It’s amazing to hear the monks chanting with the addition of the drums, cymbals and ‘trumpets’ – quite something! !